The Formatt 4 x 4" Soft Tone Fine Bronze 2 HD Filter is another filter targeted for the HD shooter. Due to the sharpness of HD cameras and lenses, certain filters come in handy to assist in flattering your subject. Today's HD lenses are ultra sharp and often generate an image that is not as flattering to a subject as one might desire. This incredible technological breakthrough gives HD shooters the touch of softness they want but with no resulting loss of contrast or detail. 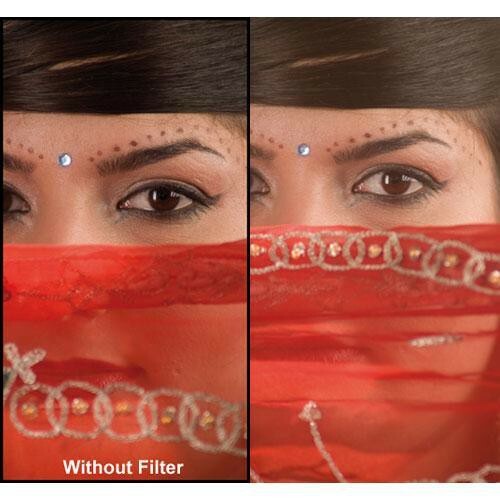 This filter will soften the image while also adding a flattering warmer skin tone. Depending on the density of filter chosen, you can produce softer skin tones which may enhance the photogenic quality of your subject. When your subject looks good and feels comfortable in front of the lens, your interview and presentation will be more successful.